One of the most important things you can do for you and your family’s oral health is simple: visit your dentist regularly for professional cleaning, exams and X-rays. That may sound easy, but if you don’t feel comfortable visiting your dentist’s office, you may delay making your appointments or skip them altogether. That’s why Dr. Parma puts such a high value on getting to know each and every one of his San Antonio, TX, patients on a more personal level. He believes that good communication between patient and dentist is absolutely necessary in order for the dentist to provide the highest quality care possible and the patient to feel comfortable enough to visit the office on a regular basis. Most of us are familiar with what occurs during a routine dental visit, including having your teeth cleaned and getting a routine checkup from your dentist. But routine visits here in our San Antonio office are different than most. Dr. Parma utilizes some of the latest tools and methods in dental technology, including an intra-oral camera, which provides the dentist with clear view of the entire mouth. 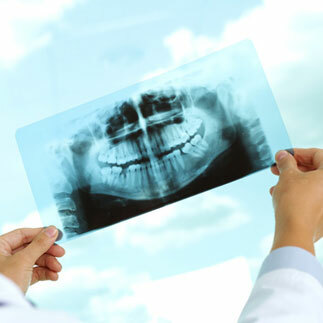 Digital X-rays aid in detecting tooth decay, particularly in between teeth, as well as any anomalies or diseases that may be present in the jawbone. If you are considering any type of cosmetic procedure, Dr. Parma and his staff will take “before” photos of your smile so you’ll be able to more fully appreciate the end result of these procedures, which can be remarkable! And, of course, Dr. Parma will carefully check the health of your gums and the bones that support your teeth, looking for any signs of gum disease or bone loss. How Often Do You Need Cleanings, Exams & X-rays? Just as every patient is different, so are the needs of every patient. How often you’ll need to visit our San Antonio, TX, office for cleanings, exams and X-rays really depends on your dental history and your current oral health. The majority of our patients come twice per year. Some patients only need to see us once a year, while others will need to come in every 3 or 4 months in order to maintain good oral health. Dr. Parma will tell you how often you’ll need to visit after your initial examination. If you’re looking for high quality dental care for you and your family, call our office today to schedule an appointment with Dr. Parma. We’re proud to serve patients from throughout the San Antonio, TX, area, and we would be happy to add you to our patient family!